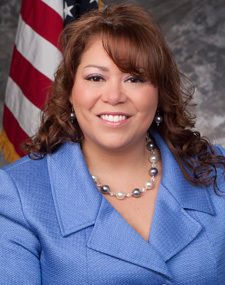 Rose Boxx is the director of the Mississippi Development Authority’s International Trade Office. Her primary responsibility is the development and implementation of the agency’s international business programs and services and supervision of the senior international trade specialists, foreign trade representatives, STEP Grant, and protocol office. Previously, Boxx served as a bureau manager in the Trade Office and as a senior international trade specialist for Latin America and the Caribbean. Prior to her position in international trade, Boxx was a community assistance specialist in the Community Services Division of MDA. A graduate of the University of Southern Mississippi, she holds a Bachelor’s degree in Journalism and an MBA from Belhaven University. Boxx is a native from Peru, South America. She grew up in several countries in South America including, Venezuela, Colombia, and Chile. She came to the U.S. in 1990 and has lived in Mississippi ever since. Rose resides in Madison, Mississippi with her husband Tommy and their son Alex.